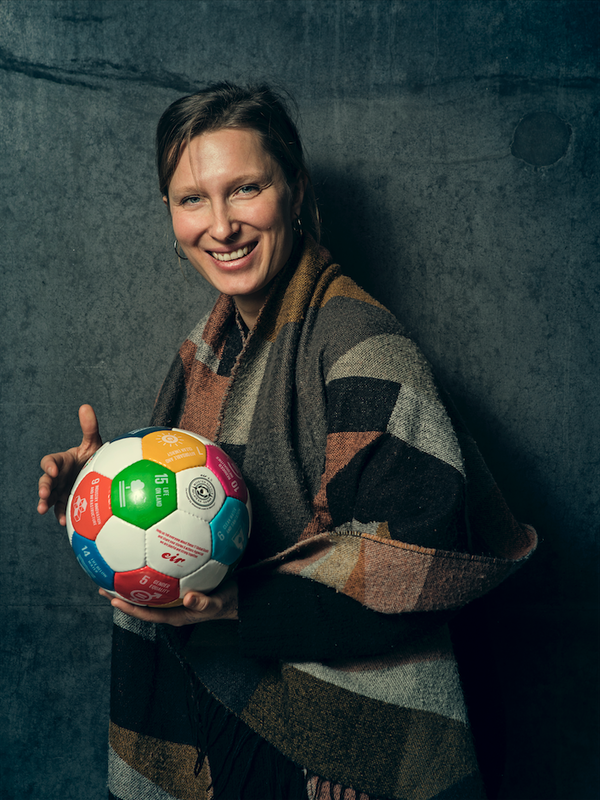 “I have worked as a coach for ten years now, in different contexts, all of which are meant to pave the path for girls or women that find difficulties, for different reasons, to join the traditional clubbing structures. 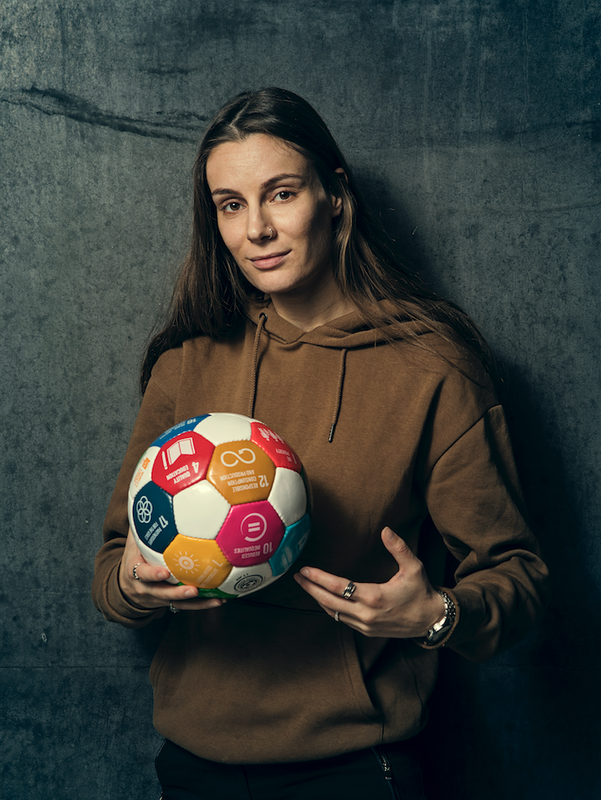 My main focus for the past couple of years has changed from working with young and teenage girls from my neighbourhood to my work with CHAMPIONS ohne GRENZEN, aiming at finding ways to make football accessible to adult female refugees and also to use football as means to exchange, inspire and support. What’s special about the team is that the reasons keeping women away from practice go beyond social notions of what women (of a certain age, in Germany) should do or not do. 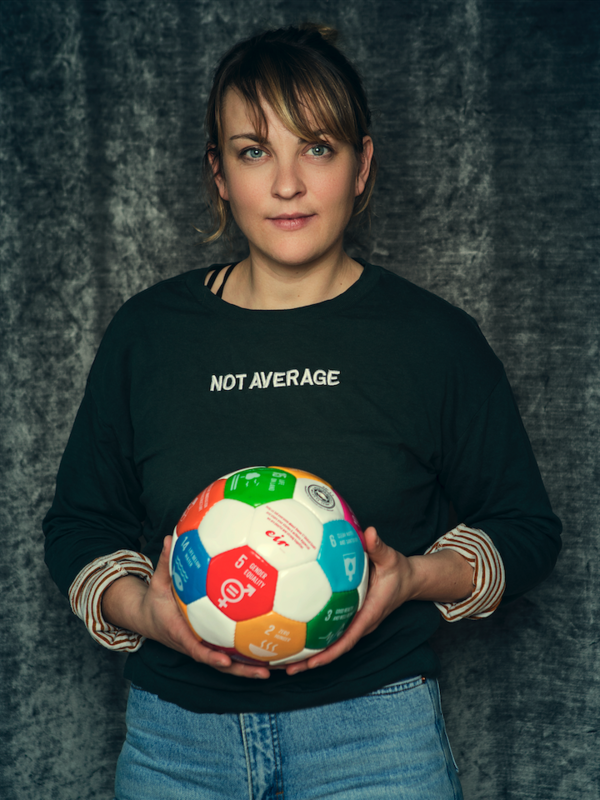 In Germany, all women who want to play football still face homophobic and sexist treatment from clubs and federations, a lack of representation and visibility resulting, in my case, e.g. in coaching formations with only two women out of 25 participants having to prove their abilities twice as hard. For women that face multiple discriminations due to their refugee status, the situation is even more complex: Obligations resulting from the residential status and German bureaucracy, limitations resulting from their mostly peripheral housing situation, from their families and kids or their health condition make it hard for some women to commit to a weekly practice. Some women also hesitate to try a new sport as an adult and a few women have told us that all their domestic duties were a kind of sport already. I only got into football at age 14, probably by chance, when we moved from the inner city to Berlin to its outskirts. The team that had just opened up there (for girls and women from 13 to 99 years old) soon became an opportunity to explore our differences and slowly, eventually, even erase them. The team was the place where I could be someone else twice a week - another Carmen. Finally there was a place where my nimble feet had purpose and I wasn't just running alone anymore. Football made me feel everything: happy, sad, inspired, confused. I fell in love with the place where my body merged with the team, where I unloaded and took off the backpack of worries and anxieties I carried around. I remember a practice that I attended after a long break: it made me laugh and cry. After that, I vowed never to miss a practice again. As a coach I know the feeling I want my players to experience. I want them to shed their backpacks and become part of a team body, creating a team with a solid core. As a player I have my own way of evaluating a good training session. It is by a feeling - the feeling is not in the tip of the toes, but in the core. It’s the moment when the body and mind float and nothing weighs on the shoulders. It is when my chest expands to its full volume and my body finds its true contours. 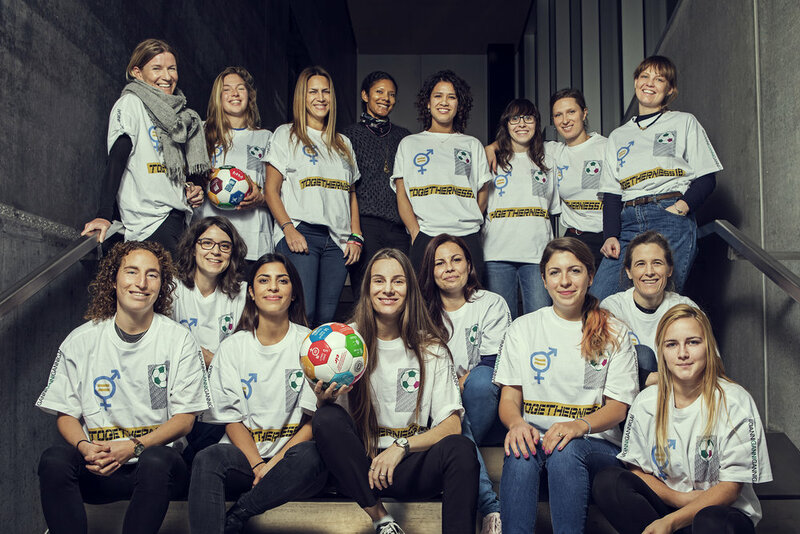 “CHAMPIONS ohne GRENZEN” (CHoG) is a team that creates access to football for adult refugee women in Berlin through cost-free football practice, further leisure time activities and formations to both, their players as well as other footballing structures. 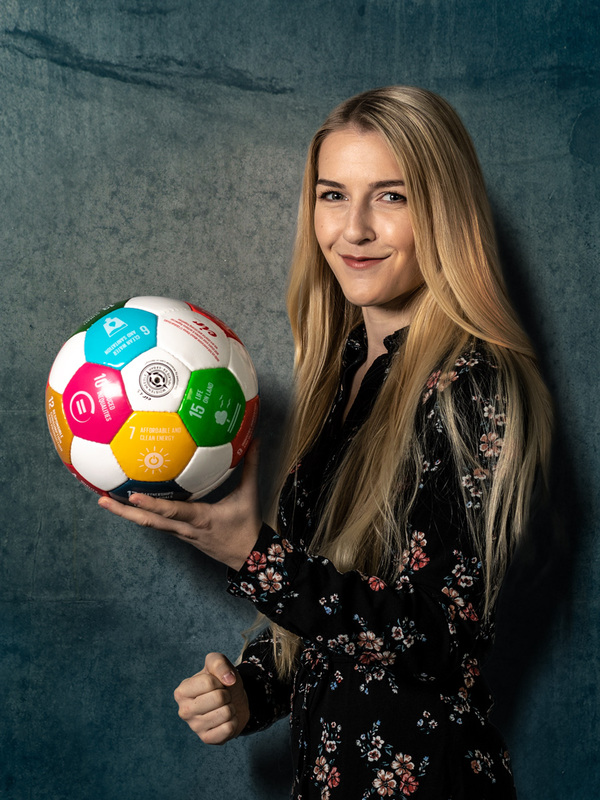 The most important goals for them are building self-confidence and community as well as reducing inequalities through fostering participation and exchange amongst women of all ages and backgrounds. 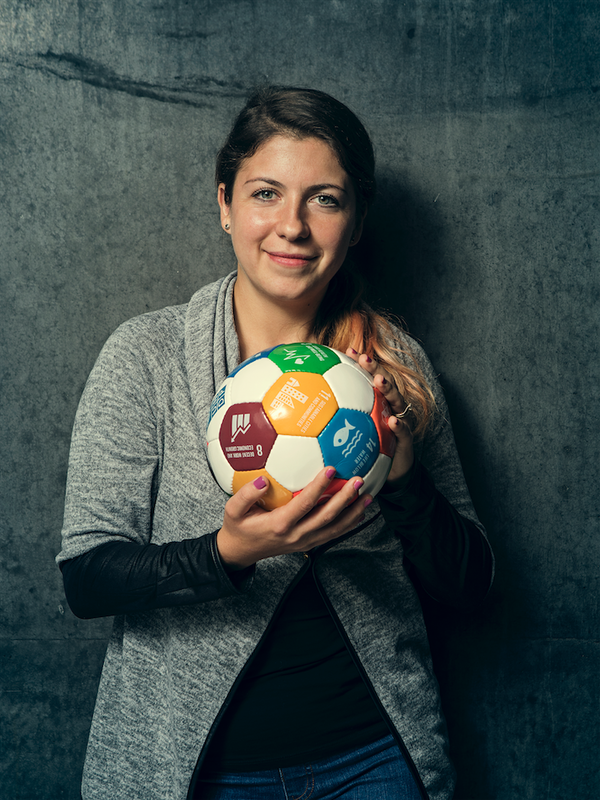 For the GGWCUP they however chose to reach for a new goal: responsible consumption and production. 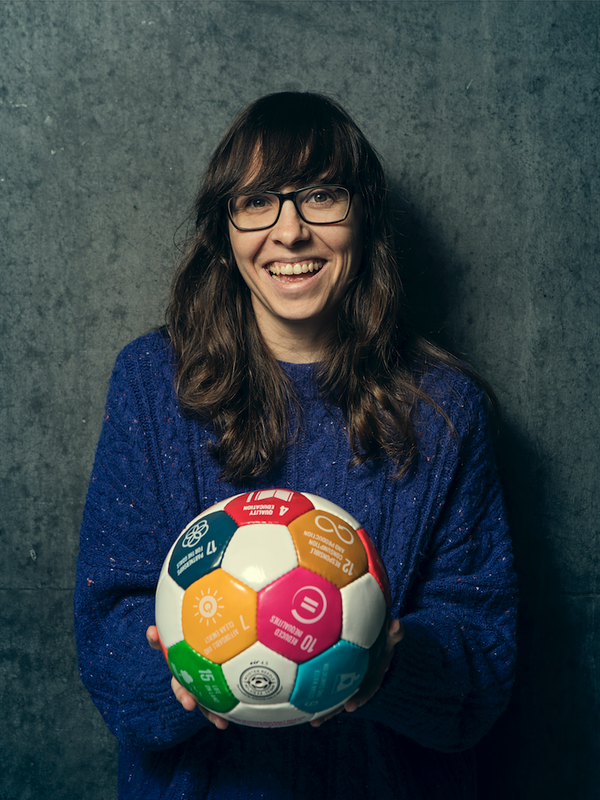 They decided to design and create their own football jerseys and training material with recycled goods – by partnering up with another local NGO and involving their neighborhood. By doing so, they aim to develop consciousness around responsible consumption and production in their own homes and in and around the city’s sporting infrastructures. Needless to say, this activity is meant to make the team grow closer together and create space and perspectives for active participation beyond football and thus allowing other community members to take part. Finally, this activity rhymes with their goal to provide vocational orientation for the participants – in this case, allowing for different skills to develop or show, especially by those women that have already worked in the fashion industry in their home countries before,” – Carmen Grimm. First team member on the team is Roya and she is 13 years old. In the video she tells us about her everyday life, her aims and how she enjoys sports. She thereby tell us about her arrival in Germany three years ago. See the video here. Getting ready for team building. Radio feature on the team The first ten minutes, followed by ten minutes of talk by a photographer who followed some of the players. Listen to CHAMPIONS ohne GRENZEN (German) Radio feature. 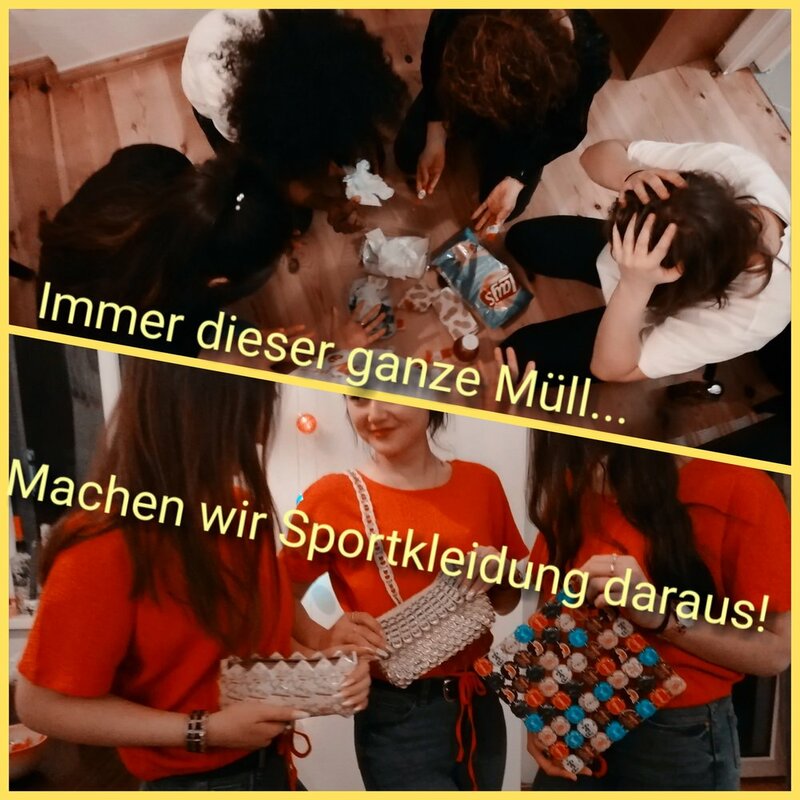 Information (German): Sport für geflüchtete Mädchen und Frauen. CHAMPIONS ohne GRENZEN is a non-profit organization dedicated to designing a more sustainable "welcoming culture" for everybody in the German federal states of Berlin and Brandenburg using sports as main tool for interaction and empowerment. 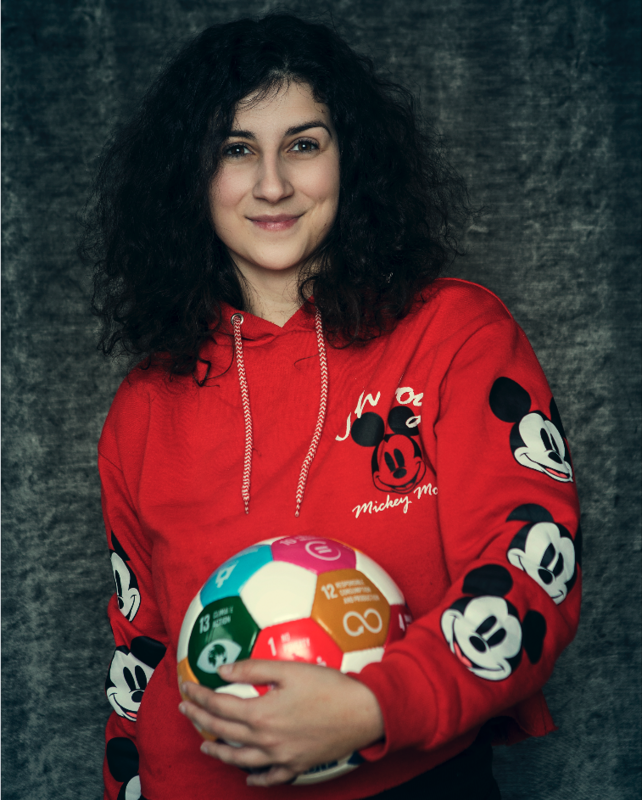 The NGO provides cost-free sports practice and other structures for further orientation and learning for both: traditional sporting structures as well as new arrivals in Berlin. 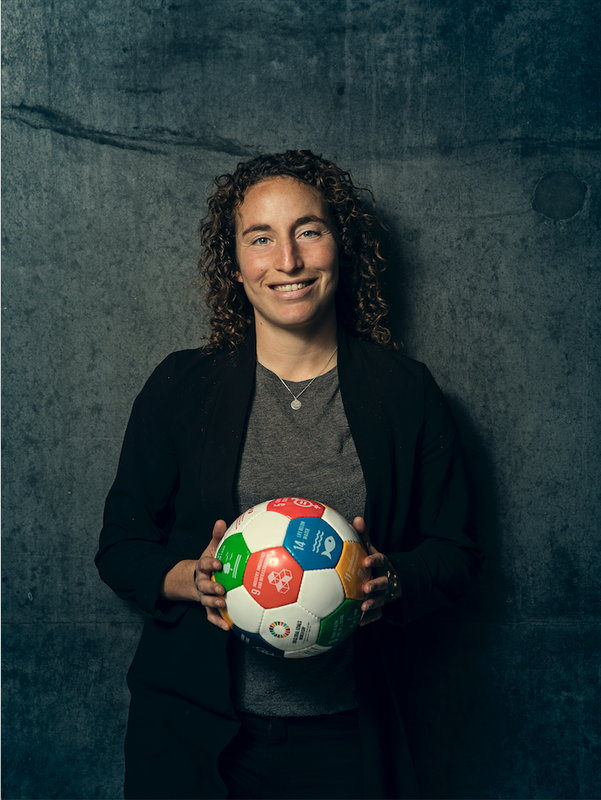 “I have been a football coach for ten years now, having coached and founded several teams that all reach out to girls and women that have limited access to the traditional (white, patriarchal, competitive) club system. 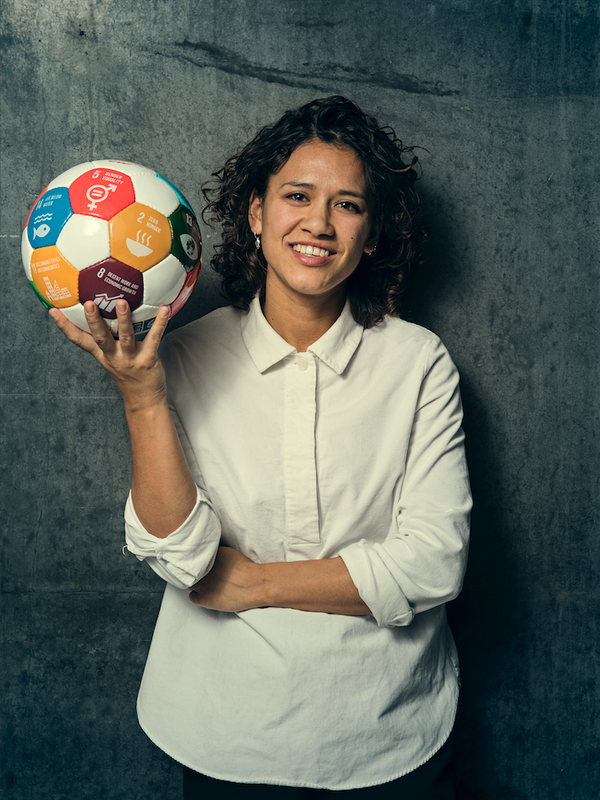 I have also worked in the qualification of other coaches for a more gender-sensitive and migration-positive football and in creating networks of female football activists. 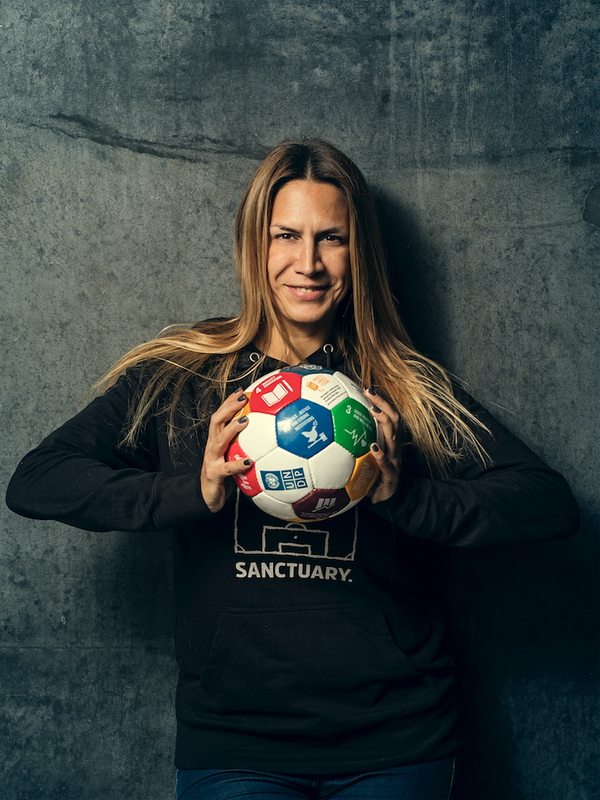 I have also done anthropological research in the field of football, bodies, gender and migration. Manual for coaches working with refugees. Manual for female football coaches. “Our SDG experience so far is somewhat an indirect one. I do believe that holding a regular practice on an inner-city pitch can provide ways for a more sustainable city, against exclusion, for more gender equality and children's rights.